Sophia Z. Lee, The Workplace Constitution: From the New Deal to the New Right (2014). Sophia Z. Lee’s new book, The Workplace Constitution: From the New Deal to the New Right, traces a fifty-year history of the tumultuous battle over whether and when the Constitution should apply to employees working at private sector jobs. This is in part a story about the Supreme Court, but Lee also reveals a fascinating account of rapidly shifting alliances and tensions between and among civil rights groups, unions, employers, the right-to-work movement, and administrative agencies. With all of these players, Lee’s book could have easily gotten bogged down in details. Instead, it beautifully brings to life lawyers’ and activists’ deliberations over whether their interests would be well-served by the application of constitutional law in private workplaces, against the backdrop of changing constitutional jurisprudence and shifting legislative and regulatory priorities. Of course, the end of the story will be familiar to many readers—after some hopeful starts for liberal and conservative supporters of the Workplace Constitution during the 1960s and early 1970s, it nearly disappeared after the Burger and Rehnquist Courts issued a series of narrow state action decisions. As Lee explains, this development was ultimately not unwelcome to many civil rights groups—this about-face was linked to the Court’s growing tendency to strike down governmental affirmative action plans on constitutional grounds, which meant voluntary affirmative action plans at private workplaces would also be threatened if the constitution applied there. But along the way, Lee opens a window on what might have been, describing administrative agencies’ creative uses of constitutional law to promote diversity within the entities they regulated. The FCC and the NLRB get the most airtime here, and the FCC’s efforts in particular were almost breathtaking: spurred on by activists, that agency concluded that it had the constitutional authority—or even the constitutional duty—to condition dozens of station’s licenses on the adoption of affirmative action programs, including educational programs designed to create a pipeline of qualified applicants. These programs yielded documented results; if they had been continued, today’s workforce diversity might be much improved, especially within highly regulated industries. Lee’s book is also invaluable for its description of the birth of the right-to-work movement, and its push for a workplace Constitution that would include a right to refrain from union representation and/or union dues. In terms of their support for a broad state action doctrine, the various right-to-work advocates whom Lee describes are more consistent than any of the other movement or government actors that figure prominently in the book. But their other shifts, and those that take place around them, are fascinating. I will relate just two examples of many included in the book. First, the relationship of right-to-work groups with civil rights groups can best be described as uneasy, with the latter invested in fighting racially discriminatory local unions, but also seeking to preserve workers’ abilities to improve their lot through collective bargaining; as these priorities shifted in relation to one another, so did the relationships between the various movement organizations and minority workers. Second, employers sometimes fractured with right-to-work groups over state action; the prospect of depleting union coffers or decertifying locals that were (sometimes strategically) accused of discrimination was certainly appealing to many employers, but a robust workplace Constitution was also fraught with other perils for them. While civil rights advocates have mostly abandoned their quest for a workplace Constitution, the right-to-work movement’s efforts to expand the workplace Constitution seem to be picking up steam. Lee’s book is thus especially timely, revealing the intricate backstory preceding these coming constitutional conflicts. 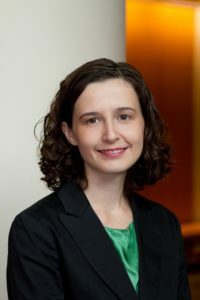 Cite as: Charlotte Garden, The Constitution at Work: Everything Old is New Again, JOTWELL (March 10, 2015) (reviewing Sophia Z. Lee, The Workplace Constitution: From the New Deal to the New Right (2014)), https://worklaw.jotwell.com/the-constitution-at-work-everything-old-is-new-again/.